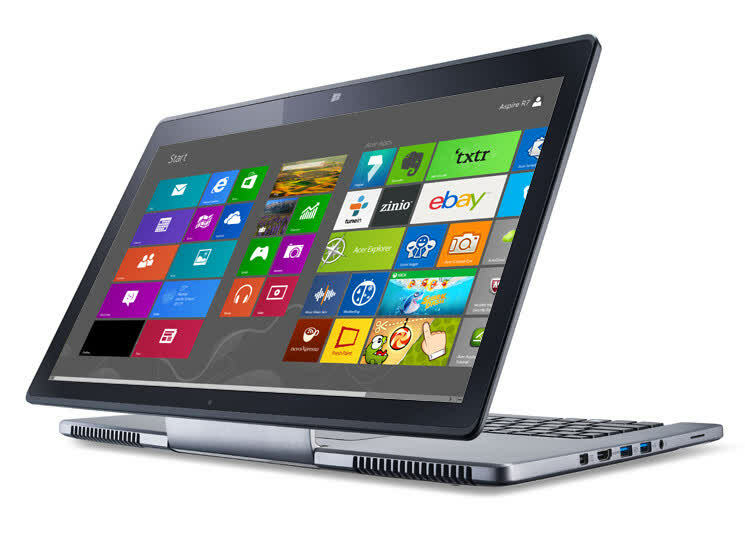 The Acer Aspire R7 is powered by a 1.8GHz Core i5 processor, 6GB of RAM, and a hybrid hard drive, 20GB of SSD. 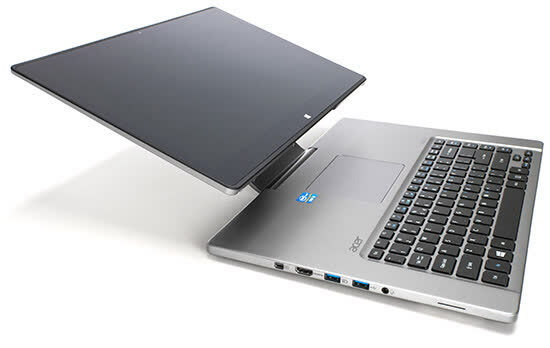 The R7 also features two USB 3.0 ports, DisplayPort connectivity and a SD card slot. 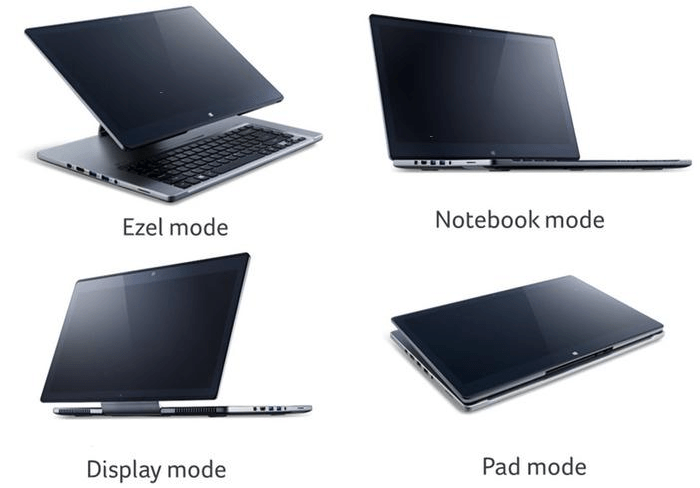 The Ezel hinge is cool, there's no question, and I could see myself using a laptop in some of the ways it allows. 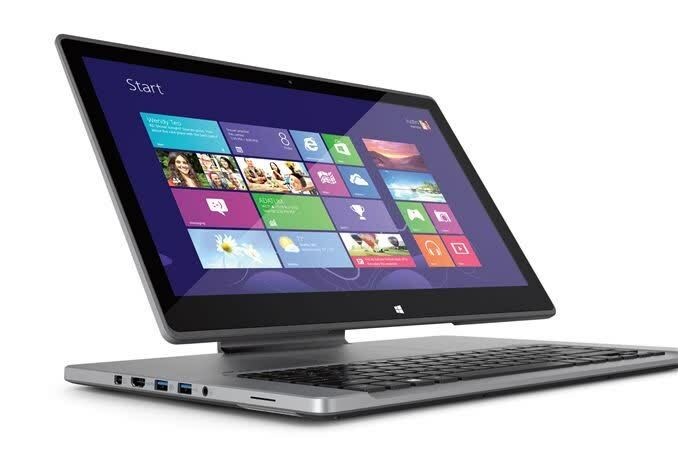 I'd also love an all-in-one that was this flexible. 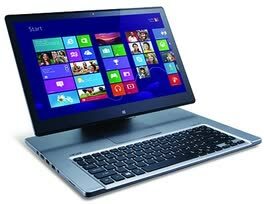 But I'm not ready to give up the trackpad, and neither is Windows. 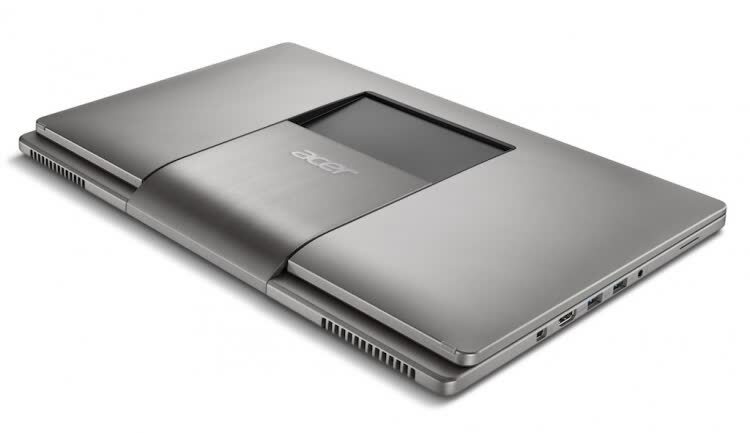 Until Acer figures out how to make a crazy laptop that's also a normal laptop, I'm not interested. 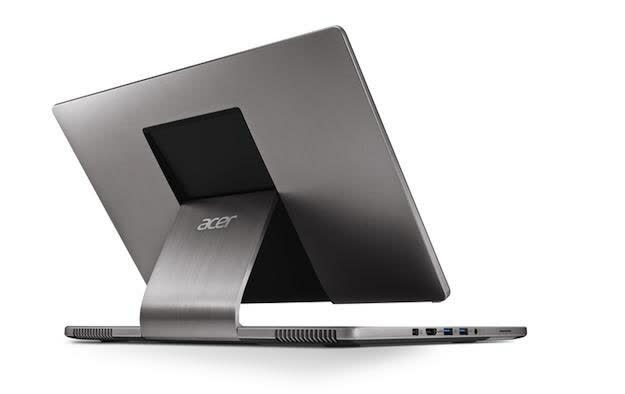 The Acer Aspire R7 presents a unique touch-friendly design with its floating display, but putting the touchpad above the keyboard feels awkward. There are definitely better tablets, better laptops, and better all-in-ones, but the R7 is pretty much unique in the marketplace right now. I’d still say it’s not for me, even though I’ve enjoyed poking around at it off and on over the past month and a half, but the only real failures are the companies that refuse to innovate. This notebook is certainly one you’ll want to head into a showroom floor to have a go with before you purchase, that much is certain. It may turn out to be too strange for you to want to mess with: but it could very well surprise you as a bit of hardware that’s just what you need.